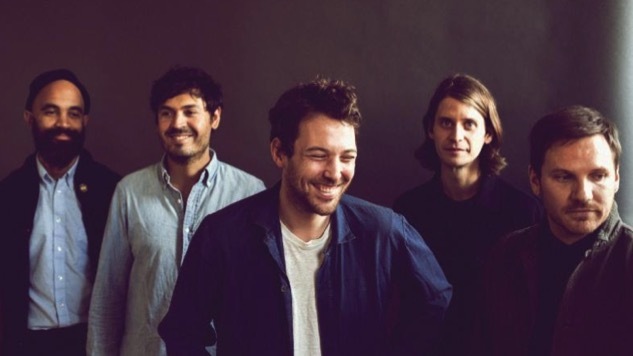 The track was previously released as a b-side to "White Winter Hymnal"
Fleet Foxes have shared “Isles” off their forthcoming special-edition release First Collection 2006 – 2009, out Nov. 9 through Nonesuch and Sub Pop. The record collects the band’s early works, including their debut full-length, the Sun Giant EP, their self-titled EP, and a B-sides and rarities collection. The release will also include a 32-page booklet with show flyers, lyrics and artwork from the period. “Isles” was originally released as a B-side to the U.K. seven-inch single for “White Winter Hymnal.” It has not been previously released anywhere outside of Europe and the U.K. The song finds Fleet Foxes at their baroque best. It’s the sort of gentle ballad they used to make, a stark folk song that’s remarkably simple compared to the orchestral movements Robin Pecknold and company make nowadays. First Collection 2006 – 2009 will be available on vinyl, CD and digital platforms. You can preorder the collection here. Listen to “Isles” and check out the archival trailer for the release below. While you’re at it, check out a 2008 performance of “White Winter Hymnal” from the Paste archives. The full tracklist can be found further down.